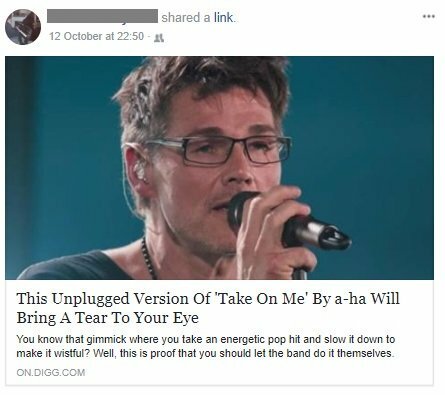 And other people shared it here. Ag, I don’t know about “melting the internet”. That sounds a bit like when the internet “destroyed Donald Trump” (Spoiler: it didn’t). But it’s great that the band are getting some more airtime. And it’s nice that people are enjoying the stuff that I enjoy. Some sort of affirmation that I’m vaguely relevant, I guess. 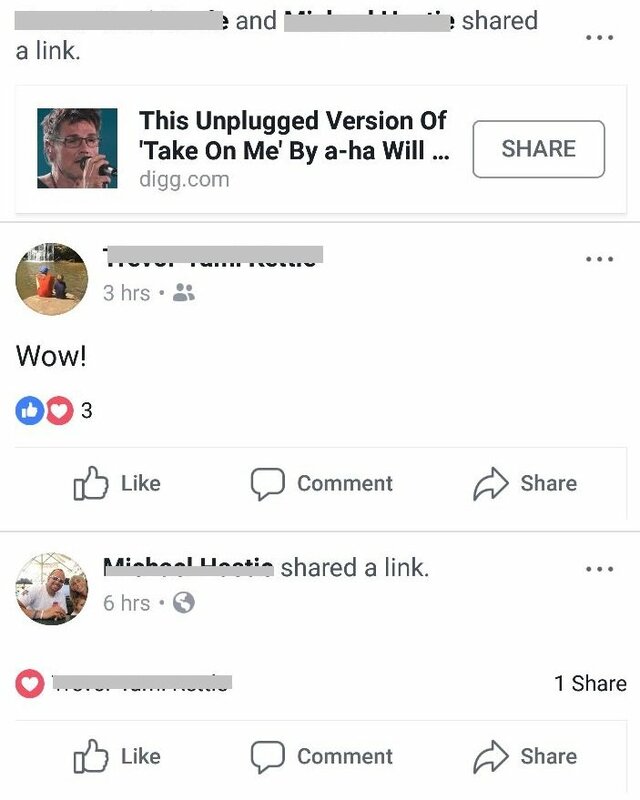 I’ve noticed that several friends on Facebook are – independently of any input from me – beginning to share this post around, and the comments have been unerringly positive. 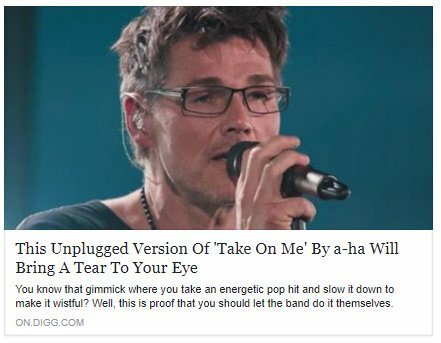 It was just last week that I was waxing lyrical about the new a-ha MTV Unplugged album, and this is the final song from it. As you might expect, the band finish all their concerts with this song. But you’ll still recognise it. 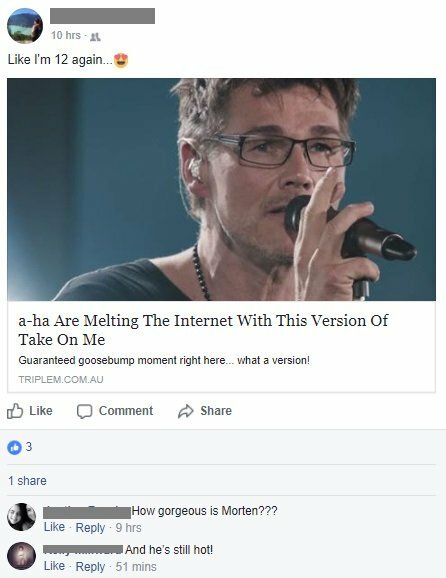 After a distinctly Karma Police first few bars, as you might expect, Morten simply nails the vocal over a beautifully different instrumental. It makes me happy to learn that it’s not just me doing fanboy stuff. 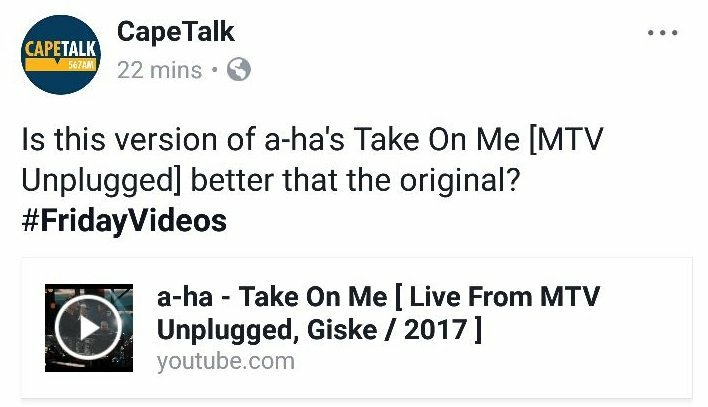 When a new version of a song from more than 30 years ago, sung by the same guys that did it back then, can still affect people this way – it has to be special. 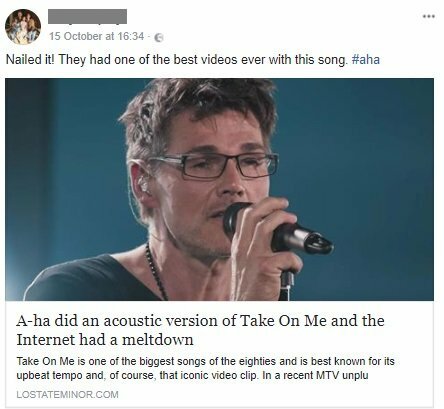 New a-ha single from the upcoming acoustic album (MTV Unplugged – Summer Solstice), which is out ever so soon now (October 6th). 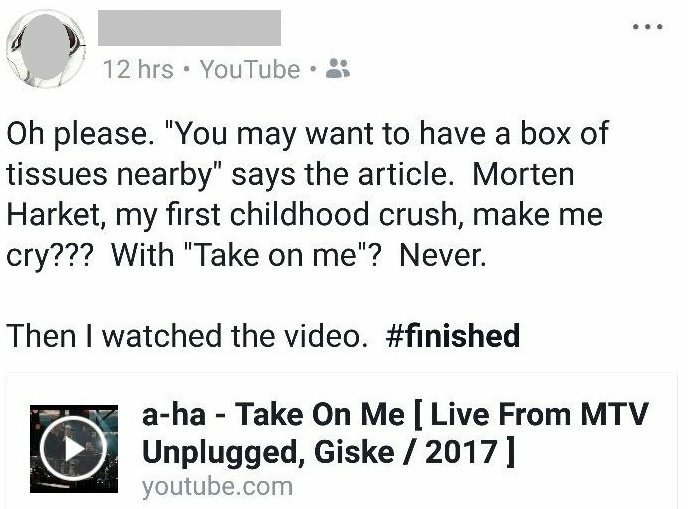 There’s Morten, there’s a piano, there are violins and cellos – there’s even a harpsichord. 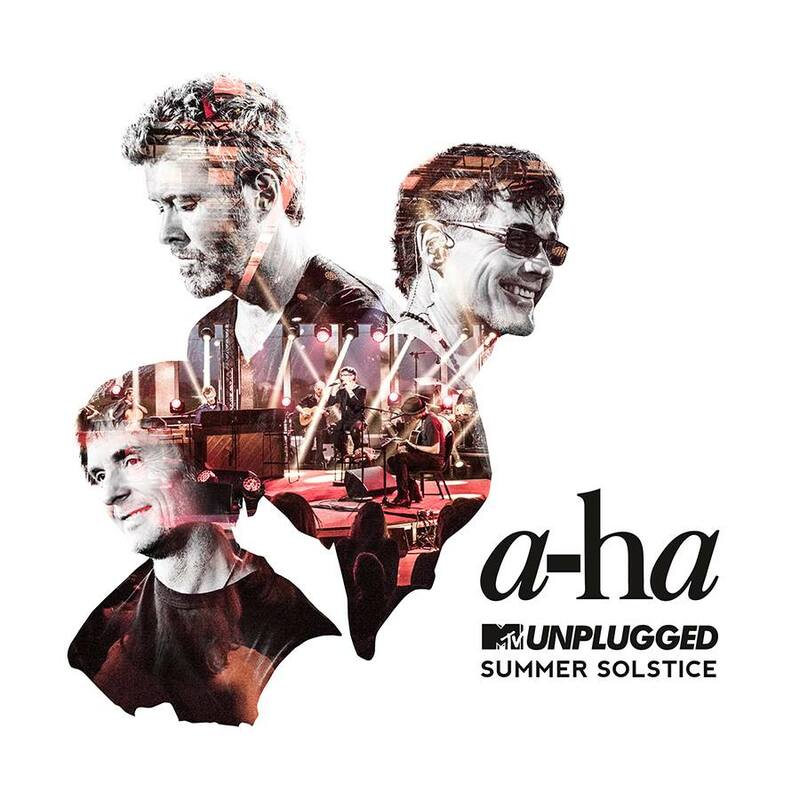 Herewith the album cover for a-ha’s MTV Unplugged session, recorded on pretty close to the Summer Solstice in north-western Norway. It’s due for release on 6th October and will feature two new songs: This Is Our Home and Break In The Clouds, along with nineteen acoustic versions of previous work. Of course I’m looking forward to it. Why wouldn’t I be?